Midtown Dentistry treats patients undergoing radiation treatment to the head using the latest "Oral Health in Cancer Therapy" guide that describes the latest treatments and medications for oral health during radiation. With our aging population, more people receive radiation treatment and need private care for the side effects. 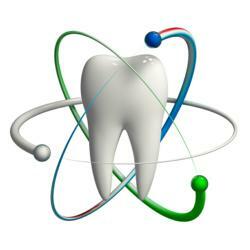 Midtown Dentistry is part of a new wave of dentists offering private care for radiation complications and medications to help the patients through their journey. Dr. Penchas is using a new rinse Caphosol to treat patients with mouth sores and ulcers from radiation. The oral health in cancer therapy guide is the new hallmark for such therapy. It is published by the Cancer Prevention and Research Institute of Texas. Radiation is a common treatment for tumors in the head and neck. It is used alone or in combination with surgery and chemotherapy. Generally the radiation is given once a day five days per week. Radiation has side effects that can injure and hurt the person receiving the radiation. Mucositis - the skin of the mouth is inflamed and ulcers are common. Up until the last few years, most of the treatment of radiation side effects in the mouth has been provided by the radiation departments. With the growth in numbers of patients and complications, it has been harder for these providers to deal with the oral side effects. Dentists with special training in dental oncology such as Midtown Dentistry in Houston, Texas are picking up the treatment of these needs. Explains Dr. Penchas - a Dental Oncologist: "Oncologists don't have the manpower or time to deal with this growing problem - and they are glad to refer their patients to a private setting where they can have this dealt with"
There are several new medications used to treat the inflammation and ulcers in the mouth. One of the new rinses recommended by Dr. Penchas is Caphosol. " This prescription mouth rinse keeps the mineral balance in the mouth - reducing infection and pain. We are seeing wonderful results"